I begin a new preaching/teaching series on Sunday, Sept 7th that will show how God’s uses people to accomplish extraordinary things!! One’s abilities, qualifications, training, aptitude, intelligence and/or skills is not a factor to God. He just wants to qualify those who He calls. 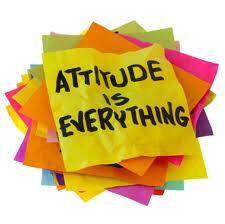 Our attitude determines the outcome. Stay tuned and be blessed! !